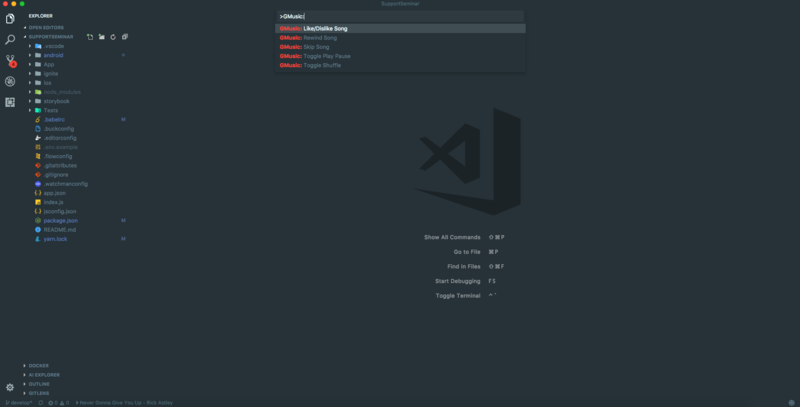 Visual Studio Code>Other>vscode-gmusicNew to Visual Studio Code? Get it now. Make sure the Playback API is enabled in Desktop Settings! vscode-gmusic will not work without it! Like/Dislike doesn't work when listening to a radio.